At World Economic Summit on the Middle East and North Africa, António Guterres, the UN Secretary-General emphasized that the community will stand with the Afghan people. The UN Secretary-General stressed that the organization stands alongside the Afghan people and is committed to continue humanitarian assistance and addressing the situation of vulnerable populations. 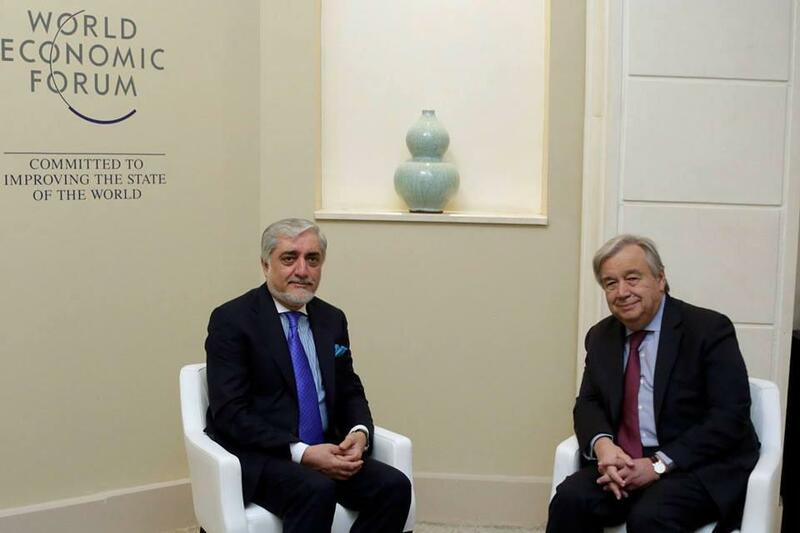 Mr. Guterres made the remarks in a meeting with the Afghan Chief Executive Dr. Abdullah Abdullah. During the meeting Dr. Abdullah also said that the Afghan government is committed to bring reforms and achieving lasting peace and supports United States efforts in this regard. 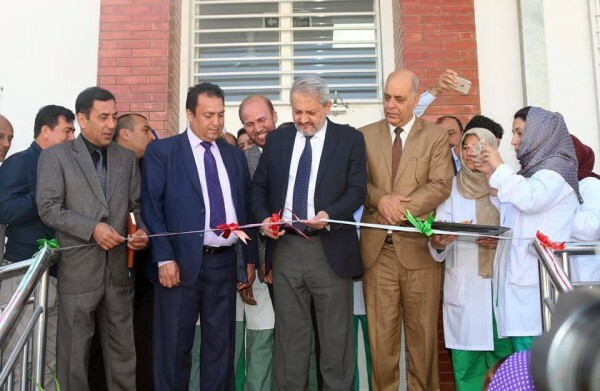 The Ministry of Public Health announced that the first cancer diagnosis center was inaugurated in Afghanistan. Dr. Ferozuddin Feroz, the Minister of Public Health launched the Laboratory of Oncology, “Cancer Diagnosis,” which is the first cancer diagnostic laboratory in Afghanistan, Ministry of Public Health said in a report on Saturday. The ministry’s report said that this diagnosis center was established with all advanced medical equipment and has been funded by the World Health Organization and the United Nations Development Program (UNDP). Mr. Feroz described the establishment of this center as an important step towards the diagnosis of cancer in the country. “Currently the laboratories of this ministry, like neighboring countries are able to detect 23 types of diseases,’ Ministry of Public Health said. More than 65 IS-K terrorists were killed in Nangarhar province, as per Afghan army in eastern Afghanistan. 201 Silab Corps said in a report that as a result of special security forces operation in Khogyani district of Nangarhar province more than 65 IS-K were killed. However, the forces did not comment about the exact date of the operation, but emphasized that these terrorists were killed in airstrikes. Afghan Ministry of Defense on Twitter clarified that Bala Morghab district of Badghis province has not fallen to the Taliban, as some reports claim. 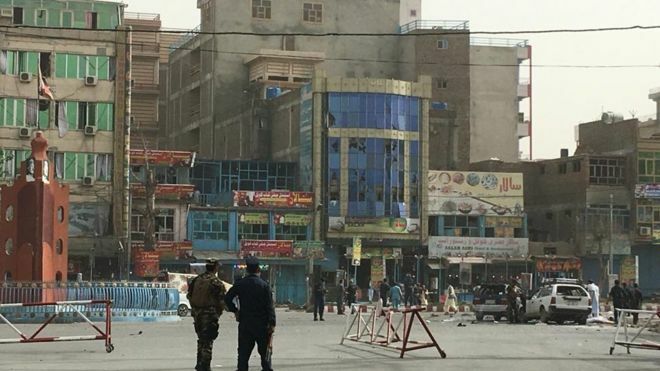 The ministry said that the ANDSF broke the blockade of police headquarters and other key facilities and are continuing their clearing operations still. “Afghan air force and coalition forces are bombing key enemy strongholds. Fighting still continues. We will share a number of friendly and enemy casualties soon”, the ministry said on Twitter. Security officials reported that a police personnel was killed in Parwan province. 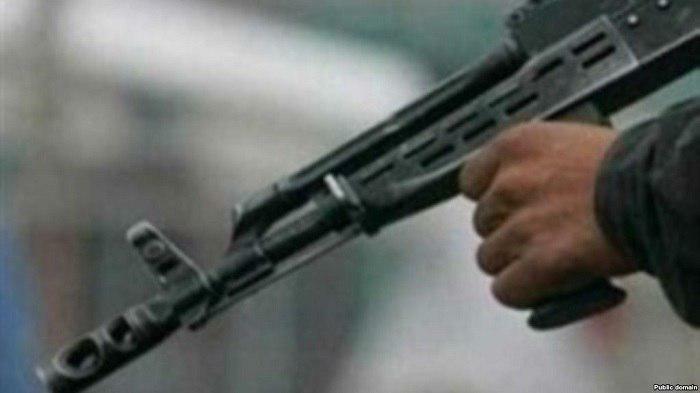 Abdul Salim Noori, spokesman of Parwan police told Reporterly today that a police personnel whose duty place was in Shotul district of Panjshir province was assassinated at center of Parwan province by Taliban at 7am this morning while he was on his way to duty. Noori added that investigation is going on for this incident. 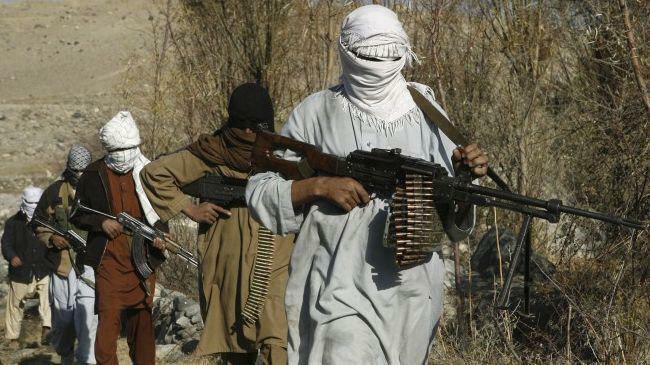 Security officials reported that a key Taliban commander was killed and a shadow district governor of the group in Pashtun Zarghun district of Herat province was injured. 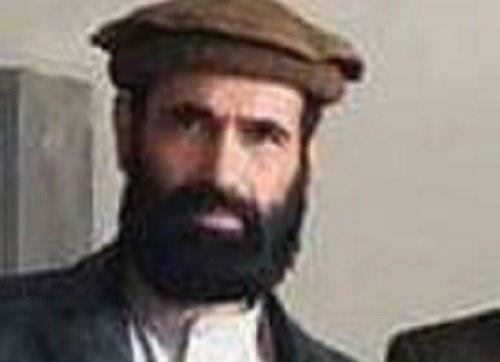 Herat police press office said that this key Taliban insurgent commander led by Safiullah “Chapat” was active in Pashtun Zarghun district of Herat province was killed by police forces in “Karawan” area of Pashtun Zarghun district. Attorney General’s Office reported the assassination of administrative manager of appeal attorney directorate of Kabul’s western zone. Attorney General’s Office said in a report that, last night in a terrorist attack, Sayed Qasim, the administrative manager of appeal attorney directorate of western zone of Kabul was killed while he was on his way home after prayer call. The incident happened in Tangi Saydan of Char Asiab district. Attorney General’s Office while condemning this incident added that they will follow up the incident seriously and legally, and the perpetrators of the case will be identified and will face due course of law. Local officials have reported that in Nangarhar explosion three individuals were killed and 19 others were wounded. Attaullah Khogyani, the spokesperson to Nangarhar governor told Reporterly that as a result of this morning’s explosion in in 4th district of Jalalabad city three civilians was killed including a woman. He added that in this incident 19 people were injured including security forces. Meanwhile, Nangarhar press office said that among injured people there four are women, two children and five other were civilians along with two traffic police, three border soldiers and three national security personnel. Meantime, the report said that the explosion was a result of an embedded IED. 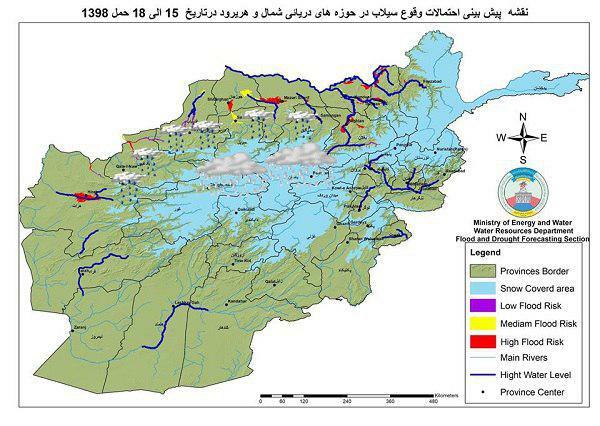 Water Resources Department of the Ministry of Energy and Water announced the possibility of floods and rise of sea level water along the route of rivers of Faiz Abad, Tishkan, Panj, Talqan, Kunduz, Baghlan, Balkh, Jawzjan, Hari River, Farah River, Helmand, Khust, Logar, Kabul, Panjshir and Laghman Matsoor. The Water Resources Department said that, according to comparative analyzes of rainfall and snow and rising temperatures in the country from 3 to 6 of April, the possibility of floods in these areas is forecasted. The forecast comes after time when in some areas of Afghanistan, heavy rainfall caused floods and financial and human loss. 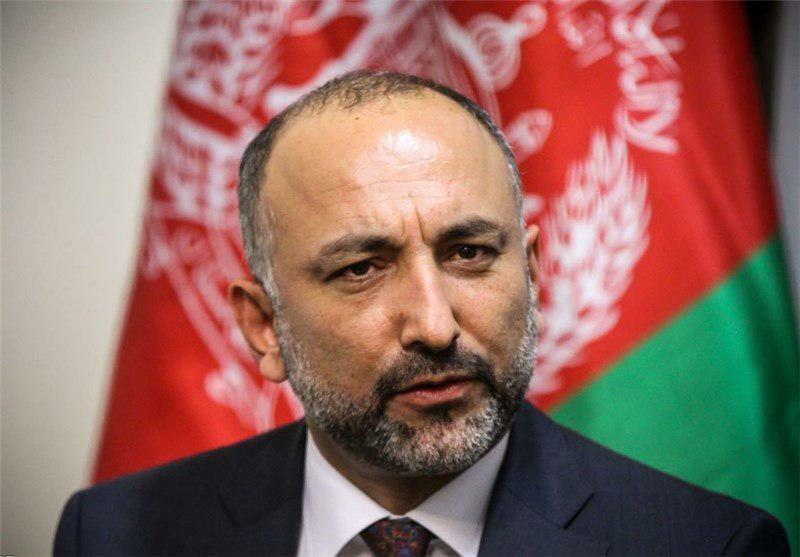 Mohammad Hanif Atmar, the former National Security Adviser and a candidate for presidential election of Afghanistan says that repetition of the disrespectful statement of Pakistani prime minister Imran Khan on Afghan internal matters of is very unfortunate and deplorable. Mr. Atmar wrote on his Twitter page on Saturday that repetition of the disrespectful statement on Afghan internal matters by Imran Khan is very unfortunate and deplorable. “What we need from a neighbor is non-interference, respect for state sovereignty and genuine help with peace”, he wrote. Atmar’s remarks came at a time when in a meeting on Friday with people in Pakistan’s Jamrud area of Khyber Pakhtunkhwa province, Imran khan once again emphasized on setup of an impartial government that organizes elections in Afghanistan and provides peace is suitable. Local officials announced the repulse of Taliban attack on Ab Kamari district and continuation of operation in Bala Murghab district of Badghis province. Speaking to Reporterly, Jamshid Shahabi, the Badghis Governor’s spokesman said on Saturday that last night Taliban attacked on three security outposts in Ab Kamari district and the clashes continued till late last night as a result of which 8 Taliban insurgents were killed and 5 others were wounded. 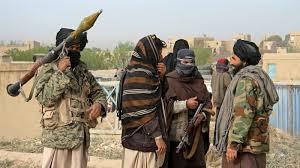 Shahabi added that 3 security forces were also wounded in the clash and Taliban insurgents retreated. He stressed that the district is currently in control of the security forces. 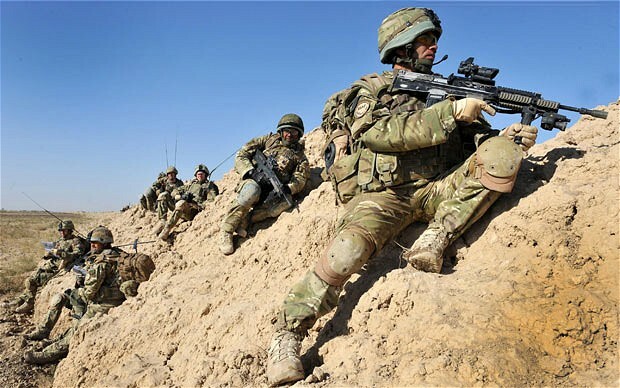 Badghis Governor spokesman added that, in Bala Murghab district, there is a sufficient force including the commandos, and operation on hideouts of Taliban insurgents has been ongoing since past two days. 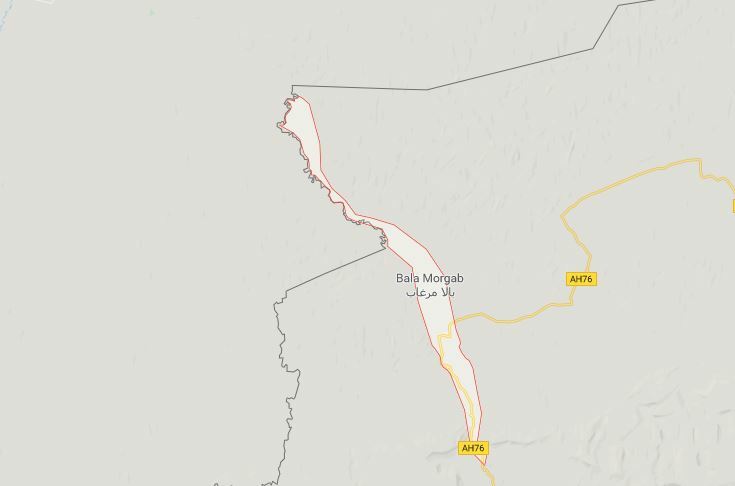 Meanwhile, the Ministry of Defense says that 20 Taliban insurgents were killed and 30 others wounded in Bala Murghab district of Badghis province. 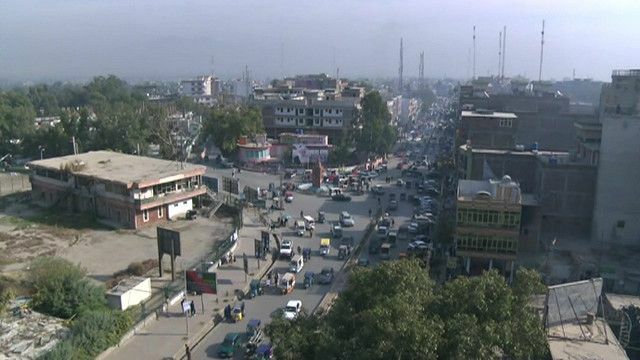 Local officials reported that an explosion occurred in Jalalabad city. 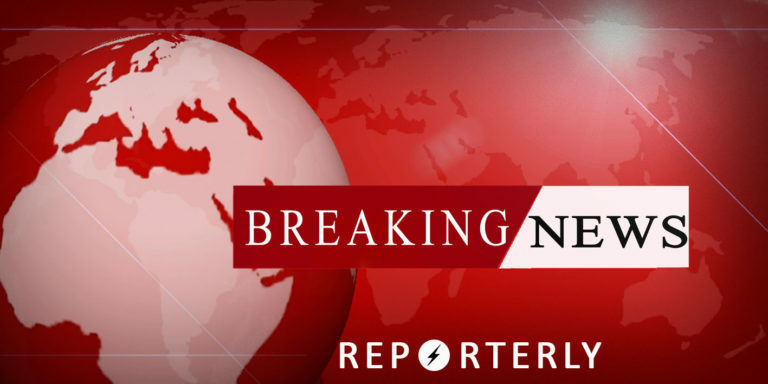 Speaking to Reporterly, Attaullah Khoygani, the spokesperson to Nangarhar Governor added that few minutes ago, an explosion occurred in area of 4th district of the province. He said that in this explosion two were killed and many were injured including children. Khogayani said that the type of explosion is not clear. 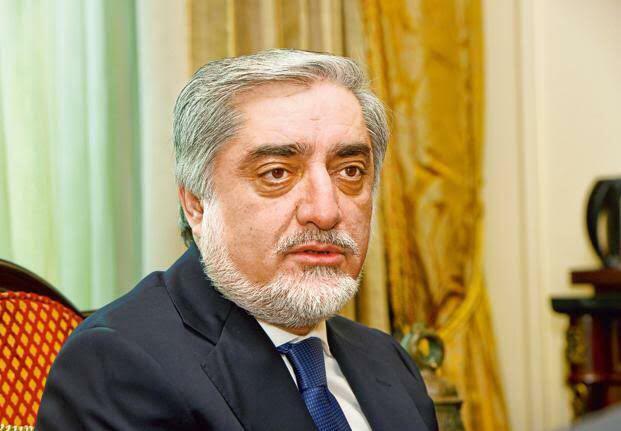 Spokesperson to the Office of Chief Executive reported that Dr. Abdullah arrived in Jordon. Mujib Rahimi, the spokesperson to Office of CE Abdullah wrote on his Facebook page that Abdullah Abdullah, chief executive of the Islamic Republic of Afghanistan, arrived in Jordan on Saturday on the official invitation of the World Economic Forum on the Middle East and North Africa. Rahimi added that chief executive of Afghanistan will attend the opening of the World Economic Forum and in other several meetings on Afghanistan, he will talk about extremism, ways to achieve peace and reconciliation. The spokesperson to Chief Executive said that Dr. Abdullah will meet with Abdullah II of Jordan, António Guterres, Secretary-General of the United Nations, Jordan Prime Minister, heads of international organizations, high-ranking representatives of countries and international organizations. It is reported that the summit of World Economic Forum on the Middle East and North Africa is organized for two days (6 and 7 of April) in Jordan which will host more than 1,000 businessmen, politicians, representatives of governments, international organizations and civil society. Rahimi said that in this summit important regional economic and political issues, regional and global climate change, regional cooperation, ways to achieve peace, fight against extremism, ways to make optimum use of the fourth industrial revolution, and cooperation with international organizations and regional organizations, and economic organizations and institutions in the age of globalization will be discussed. In response to recent statement by Imran Khan Pakistan Prime Minister about the setup of an interim government in the country, presidential palace said that the statements are serious violation of international law. 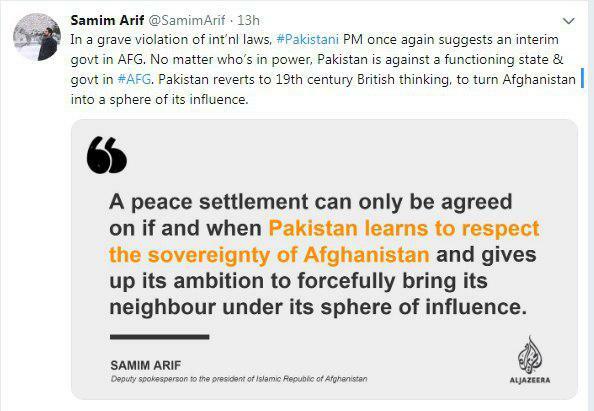 Samim Arif deputy, spokesperson to president wrote on his Twitter page on Friday that Pakistan PM Imran Khan has once again proposed the setup of an interim government in Afghanistan, which is a serious violation of international law. The spokesman for the president said that no matter who is in power in Afghanistan, Pakistan opposes an effective and active government in Afghanistan. Meanwhile, in a meeting with people in Jamrud area of Khyber Pakhtunkhwa province Imran khan once again emphasized on setup of an impartial government that organizes elections in Afghanistan and provides peace is suitable. Prior to this, the Pakistani PM said that an interim government should be setup in Afghanistan, whose statements was responded with such reaction of Afghan government. Local authorities reported that two individuals were injured in the explosion in Nangarhar province this morning. Speaking to Reporterly, Ataullah Khogyani, the Nangarhar provincial spokesman said that this morning around 7 am a planted IED targeted a border police vehicle. Khagyani added that, in this explosion, two border soldiers were injured. In a meeting with Mohammad Mohahqiq, second deputy chief executive officer, U.S. Special Representative for Afghanistan Reconciliation Zalmay Khalilzad said that it is imperative that the peace process become inclusive. Khalilzad emphasized that “It is imperative that the process becomes inclusive and consensus of government, politicians, from all political and ethnic groups, civil institutions, women and youth should be part of it which is a guarantee for the fundamental rights of all and stability and sustainable peace”. According to the press office of the second vice president, Khalilzad and the Reconciliation affairs consular of US embassy met at Mohammad Mohaqiq’s home, with a number of politicians, including Hamid Karzai and Hanif Atmar. In this meeting, the politicians said that they should not miss the opportunity for peace, and it’s time that all political and civilian parties put their hands together and work together to achieve a national understanding and security and stability.